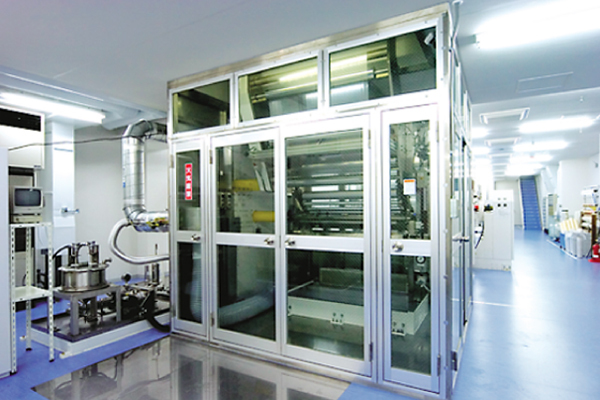 Floating dryers which have high drying efficiency are adopted. As the dryers do not contact to the coating substrate, scratch-free drying is available. 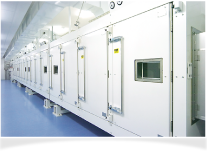 High clean level is achieved by installing the dryers with HEPA filters in a clean room. 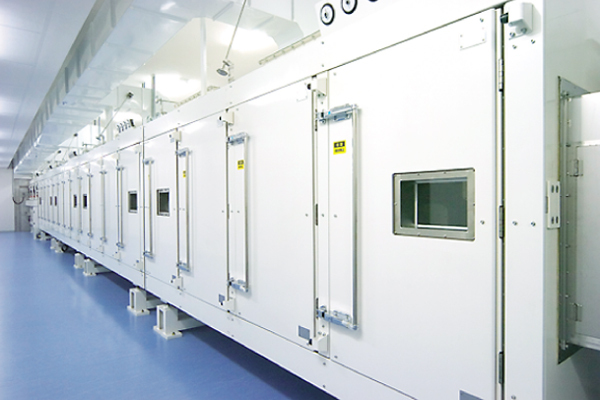 Higher level of clean environment is realized at the coater. 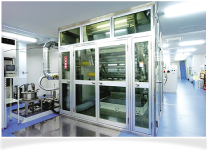 Coating products which are free from contamination or coating defects are available by making the coating areas separated during the coating operation. 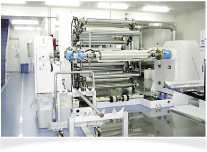 ・Clean and precise coating is available on various plastic films and metal foils. ・High temperature drying up to 260℃ is available. 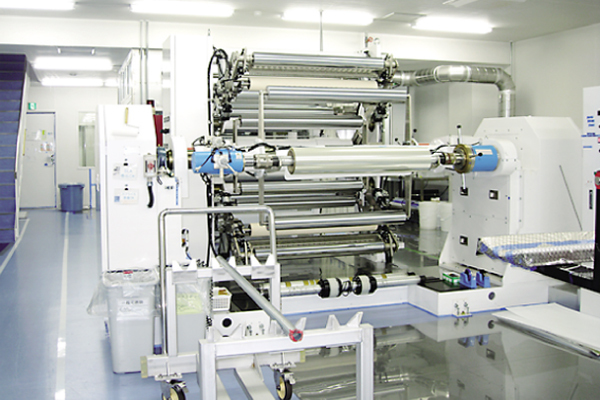 ・Tacky material after drying can be used as lamination of protect film is available.